The story is set in the not-so-distant future. There is a terrible plague that has afflicted humanity, invading the body and making different organs fail and rot away. The citizens turn to a company called Geneco Corporation to replace whatever body part they lose to the disease. 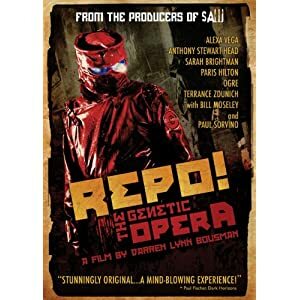 When people fail to make their payments after being treated, the company’s repo men viciously take back their organs.